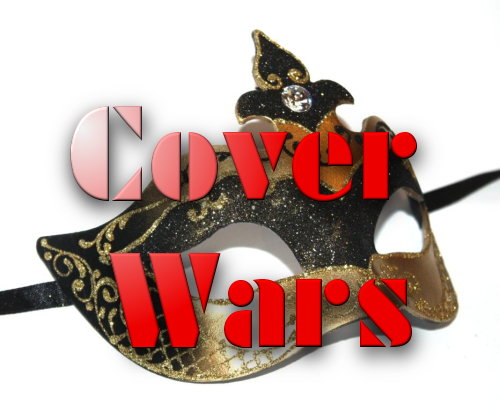 Here it is April 3rd and Cover Wars is not posted yet. To tell you the truth, I haven't even began to work on it. But I sort of have a good reason for it. There won't be an April Cover Wars. I'm sure you just gasped. But before you fall over from fright (exaggeration, I'm sure), let me explain. Due to an overwhelming number of promo orders in the month of March—I'm still trying to catch up—I didn't have as much time to secure very many participants for April's Cover Wars and Scavenger Hunt. Very few have signed up, in fact. So, here's what I'm going to do. I'm delaying the start until the middle of the month. Instead of it ending in 30 days or so as usual, it will extend until the end of May. Thus, instead of having an April Cover Wars, we'll have an early and extended May Cover Wars. We need more participants, especially those who are interested in giving away ebook copies (and paperback if you wish). For those unfamiliar with the program, that's the $20 option. For the normal price, you get about an extra 2 weeks of promotion. Hopefully that will sweeten the pot enough to "Git-R-Done!" To purchase a slot in the extended Cover Wars campaign which should start half way through April, click HERE.